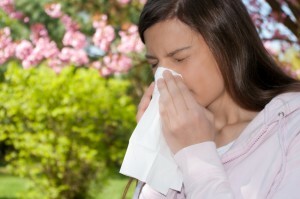 Allergies, seasonal or year-round, are an ongoing problem for many individuals. They can follow a cyclical pattern or be as random as the wind. You may have suffered from food allergies as a child and are now suffering from environmental allergies as an adult, or vise versa. You may even be suffering from allergies and not even know it! Perhaps that runny nose or dry cough you think is a cold is actually allergies! No matter what kind of allergy you suffer from, seasonal, environmental, or food related – Acupuncture can provide much needed relief. Medications often come with unwanted side-effects. Acupuncture seeks to treat the root cause of our allergies and restore balance to your immune system. Call today and let us help minimize your allergy suffering and maximize your health potential!